I just helped with a friend's baby shower. We had a lovely blue velvet cake made by the other co-host and I was in charge of another dessert. 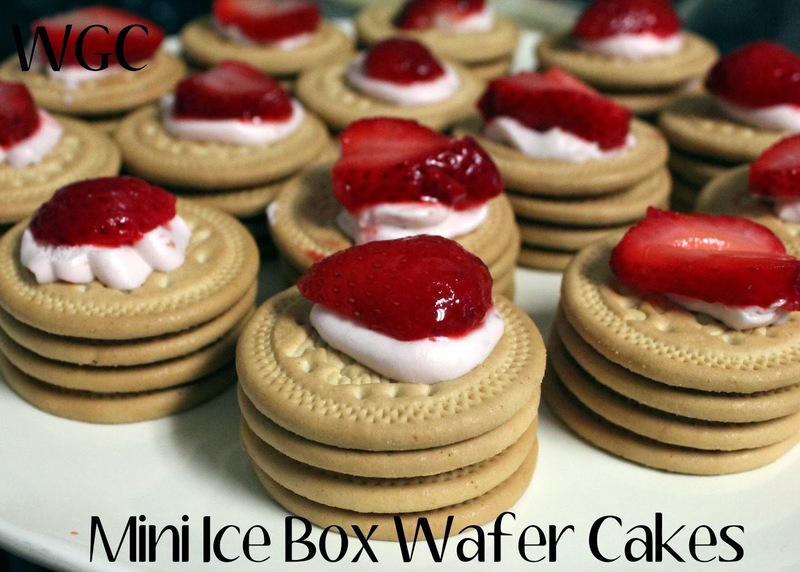 I chose to make mini ice box cakes because they are easy, cute and delicious! I'd made them once before using chocolate chip cookies and they were very good. This time I found the perfect cookie to use, Marias. They are a Mexican cookie and were next to the Digestives (European cookie). At 50 cents a sleeve, the price was right. 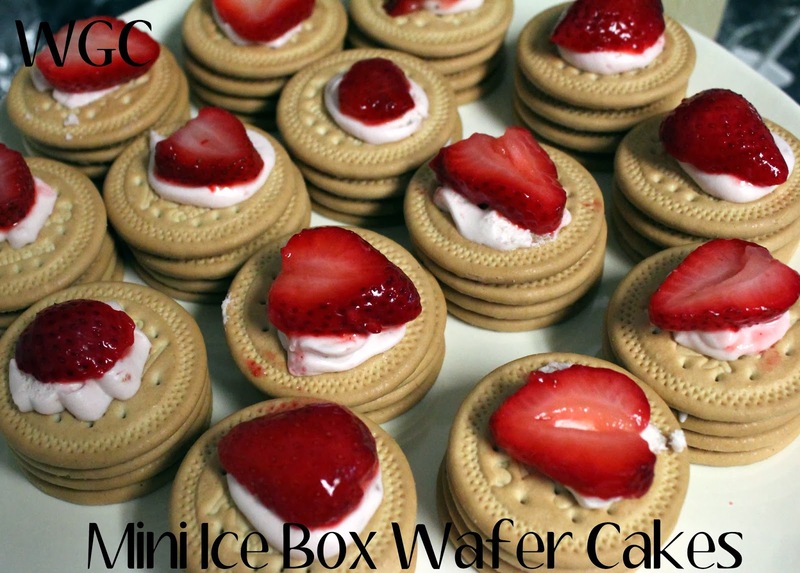 Ice box cakes can get rich but these cookies are mild and perfect for the recipe. Any mild cookie would work. I realized why this combo works so well together, it's basically a strawberry shortcake! 2. In a stand mixer, add cream and beat until fluffy. Add sugar and vanilla. Don't overbeat, the cream should be floppy and light. 3. 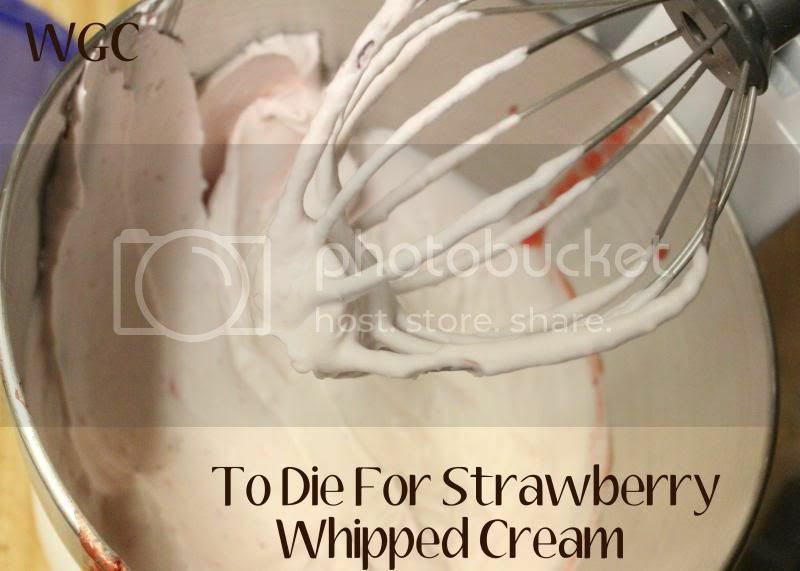 While with the mixer on, pour in strawberry mixture slowly until completely incorporated. Put whipped cream into a pastry bag or large gallon bag. 4. Place wafer on a cookie sheet. 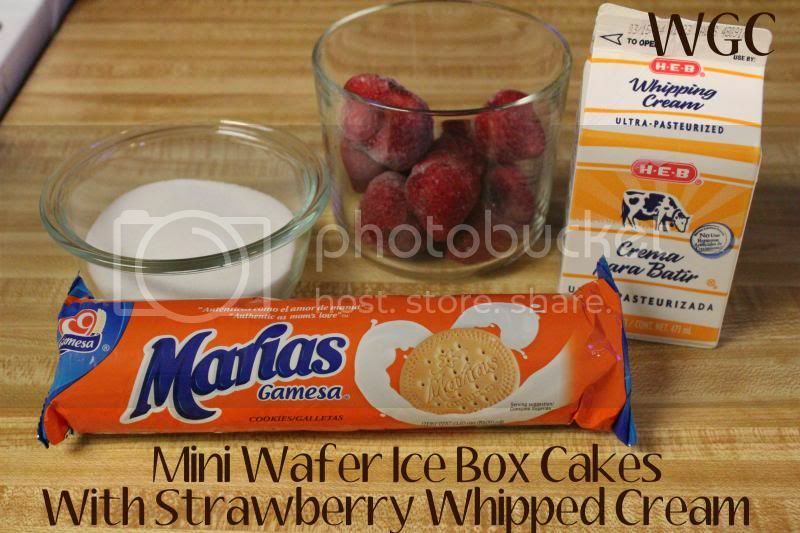 Squirt about 1 teaspoon of strawberry whipped cream onto wafer and repeat until you have a wafer tower of 4 cookies with a dollop of whipped cream on top. Repeat until you have as many wafer cakes as you desire. 5. Refrigerate for at least 6 hours but preferably overnight. When ready to serve, top with a sliced strawberry.